Sgt. 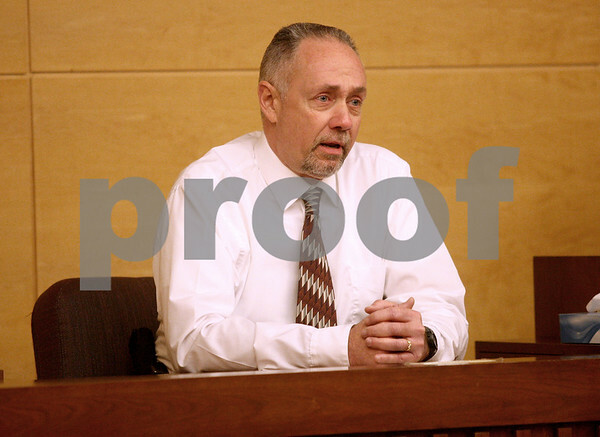 John Grimes, with the Kane County Sheriff's office, gets emotional in his testimony during a sentencing hearing for Benjamin Black at the Kane County Courthouse on Thursday, March 20, 2014. Black is convicted of aggravated driving under the influence in a 2013 crash that killed a Sycamore boy. The judge delayed the sentencing to March 26.